Here's one to start you off - please note the cowboy hat - couldnt find a helmet! 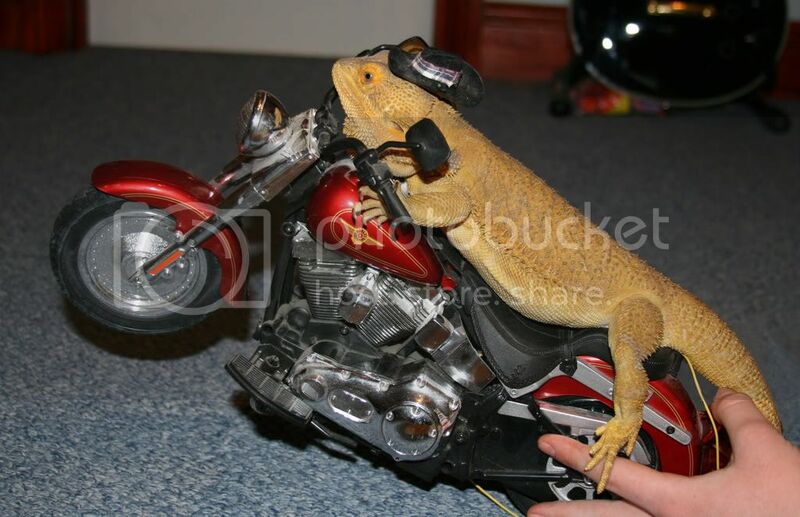 Our critters should start a biker gang!! Haha! Come on everyone - get your cameras out! Will try and get a good one whilst we are away. Come on everyone - let's see your pics! Or I shall have to assume that the standard's been set too high! Great pic! 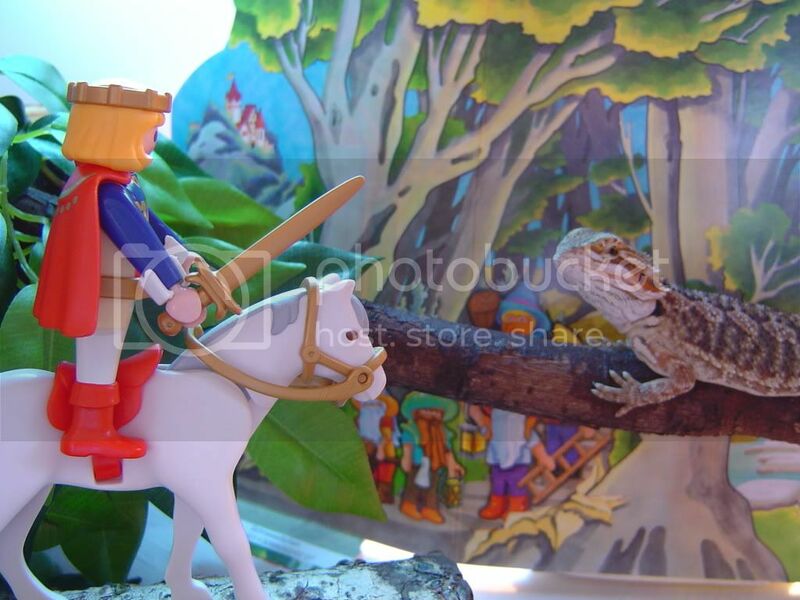 The dragon looks about as scary as the playmobil knight! He does look like he is defending his terriotry! I think I better extend the deadline a bit for this competition! 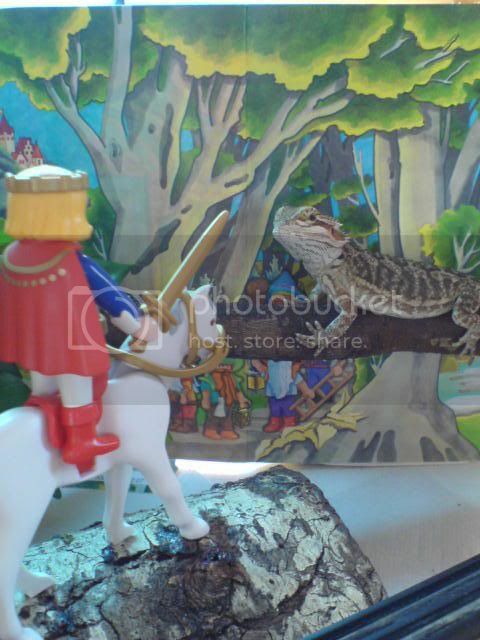 We can't be the only ones with a camera and a daft beardie, Ian! I know, bit concerned now that we both are a bit mad. Well, she's been a bit quiet recently - perhaps that's what's keeping her busy!